Well, I'm not sure if them closing their New York Office in order to help them get out of their debt will affect the dolls quality for the better, but things are still looking a bit dark for Mattel to have them do something like this. What do you guys think? Hopefully closing that office will help relieve some of the costs and those can be relocated into their products, but if that's the case i'm pretty sure it will still go to the brands they make products for, not necessarily their own. That wouldn't be a long-term solution to making the dolls better, maybe only for a year or so. I wouldn't read too much into it because supposedly it wasn't all that important an office and there's another one in another part of New York. Still seeking Indigo Astranova doll and Chase Twyla Vinyl!!! My Trades - MH, Customs, and More! 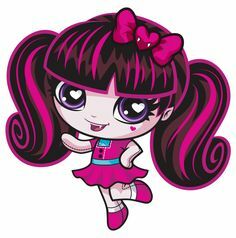 Also seeking mini Catwalk Kitties fakies, Avea size Frightmares, this Galaxy Starz doll, these Novi Stars fakies, real Novi Vera Tabray, Twilight Teenz Nemonia. Trades Preferred. I wouldn't think that this would help with product quality at all. They're $650 million in debt, so I'm guessing that whatever they save or earn by closing this office will need to go straight to their investors and lenders. It wouldn't be available for pouring into production. Honestly I can’t understand how Mattel is on debt? Right. I assumed so as well...it's a shame though, because Mattel is in a weird cycle of making "passable" quality products (sometimes not even that) and bland ideas which might put people off from buying them, then they cannot make as much as they would hope for, which then turns into them not being able to make better quality products due to lack of profit. I don't know how it is where you guys are, but here their products are gathering dust in the shelves everywhere, and they've been on sale since december. Hopefully this two year plan to recover from the debt will help - I can't imagine how would it be if Mattel ever had to file for Bankrupcy I'm also super curious as to what caused them to be in such a huge debt. Me too...surely some of that is not getting a ROI on Gen 2 or EAH.....in general.....but not nearly that much. It won't get to that point because another company will gobble them up. They still have lots of very valuable properties even if the company has been mismanaging them. Hasbro may very well get their wish someday.